Everybody loves cruises right? Even if you've never been on one, it's something almost everybody wants to do. 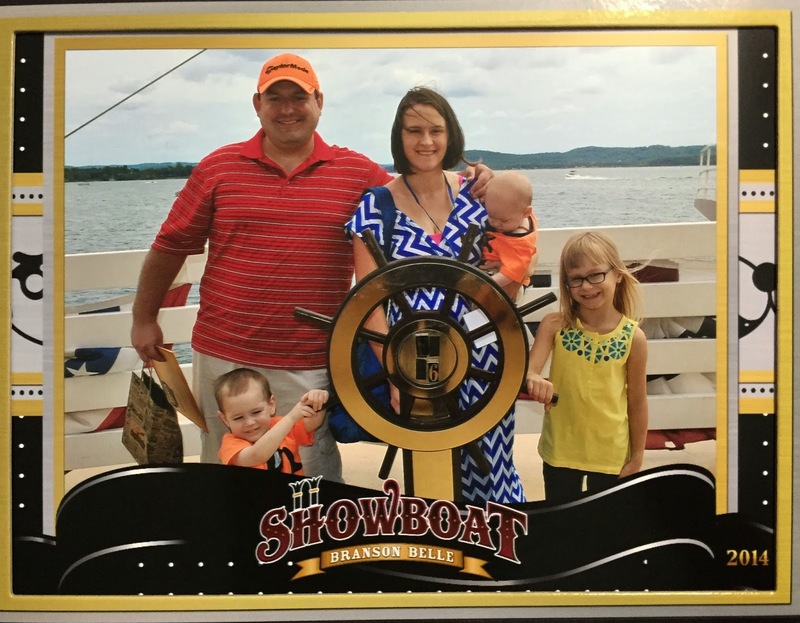 Well the Branson Belle Showboat is a mini cruise with a show and meal included. It's really something that everybody can enjoy and we sure had a blast. Janice Martin the Violinist. She was simply amazing. She went to Juliard and then joined the Army, when she got out she went back to doing what she loved. Her violin skills were awesome, she also played piano, had great singing voice and even did some aerial silk work to! She was so talented. There was also a Comedian, Christopher James. He was truly hilarious and told a ton of jokes. He's a comedy magician so he was fun all around. The attraction started with some brief comedy, and then while we ate our 3 course dinner the Rockin' Dockers band played. Then when the food was done we were able to go outside and see the boat in motion for about 20 minutes, then more magic and the actual performances. All was fun and it was a really good show that I'd recommend. My 2 year old was a bit bored and my 6 month old fell asleep, but my 7 year old really seemed to enjoy it. The whole thing was about 2.5 hours long from start to finish. This was our first stop in Branson and it was so much fun., but probably meant for those over 4. Ticket prices: Adult $49 for general seating, 4-11 is $25. Under 4 is free. Overall: ***** Such a fun, entertaining show and the food was really good too. Thank you so much for posting this. We were thinking about going to Branson soon and this looks like a lot of fun!